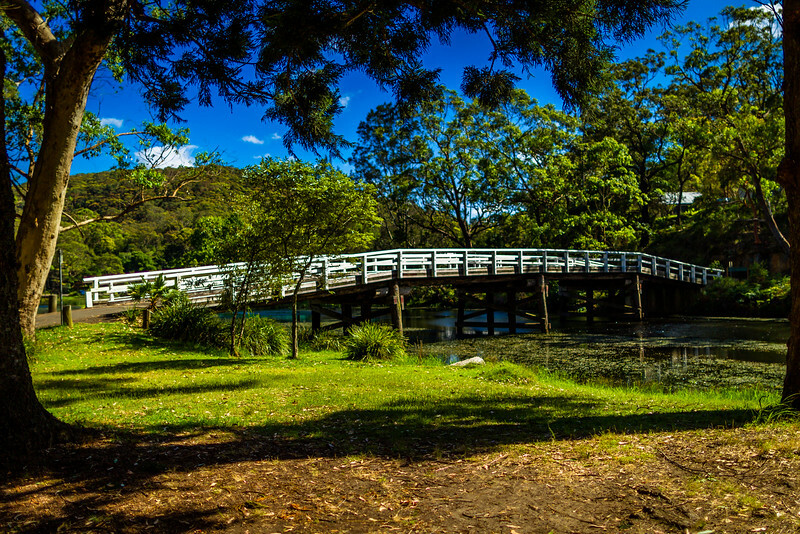 Bridge over Hacking River, Audley, Royal National Park. Named for Lord George Edward Audley, who surveyed the area in 1863-64. The national park itself is known colloquially as 'the Nasho' or 'the Royal', and is the world's oldest surviving national park - established 26 Apr 1879. NB : It was originally named 'National Park', and was given Royal status in 1955 after Queen Elizabeth II passed by in the train on the way from Wollongong during her 1954 tour.